EXQUISITE RANCH IN QUIET NEIGHBORHOOD! This stunning ranch features a large living room with corner gas fireplace, cathedral ceiling and 11 x 11 wall of glass. Large kitchen with granite countertops, wood floors and pantry. Bayed dining area with sliding glass door opening onto 15 x 13 concrete patio (10 x 10 covered). Master suite with 5 piece bath and walk-in closet. Bullnose rounded corners plus central air conditioning. Full unfinished basement. 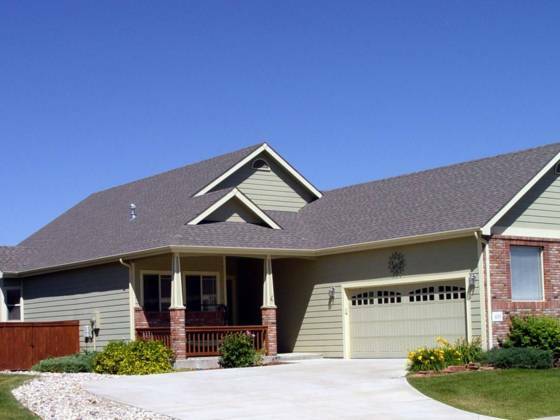 3-car attached garage, 18 x 9 covered front porch, privacy fenced back yard and sprinkler system.